Stuart Keenan (pictured below) was helping us to build the KAIRA array this summer for four weeks. He has helped out with many of the international LOFAR stations too. 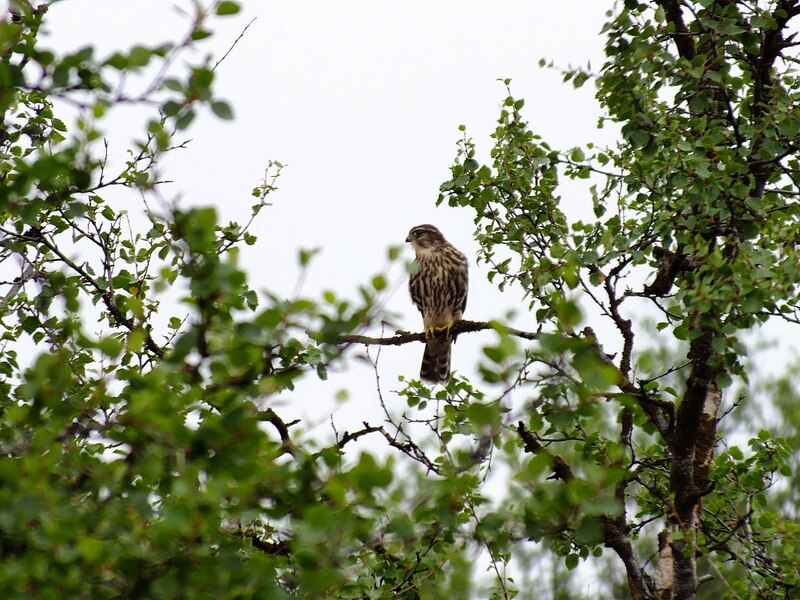 He is also an avid nature enthusiast -- he even helped out some biologists at the Kilpisjärvi Biological station to find merlin nesting sites. During this month, we will be posting some of the nature photographs that he took during his stay in Kilpisjärvi. We will also his descriptions of the photos. Stuart Keenan on top of Pikku-Malla with the KAIRA site seen on the background. For the last two years I have worked on the Installation of LOFAR stations across Europe, and this year I had the chance to join the team at Kilpisjärvi for the installation of the KAIRA / LOFAR station in north west Finland. I was exited about this for two reasons, first I love working on LOFAR and having a small part to play in this fantastic project, and second I had never been to the arctic before, so being a bit of a wildlife freak I had a chance see some species new to me. During my stay I was out at weekends, evenings and lunch breaks with my camera trying to photograph nature around the KAIRA site. Over the coming weeks you can see some of what I found. Hope you like it. 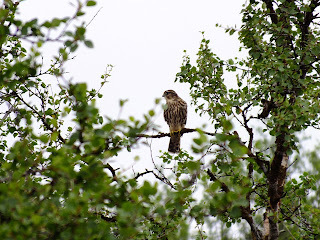 This is one four young merlins, reared in an old hooded crow's nest about 200 m from the KAIRA site.